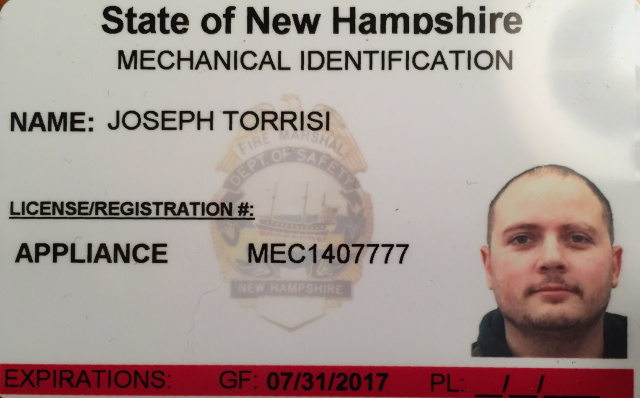 Hello name is Joe Torrisi and I'm the owner operator of Affordable Appliance Repair. I have been in the appliance industry for the last 10 years. My experience has been with appliance delivery, installations, and repairs. Over the last 10 years I have attended several factory training schools covering many makes and models. I am also one of only two LG factory authorized servicers in southern NH. 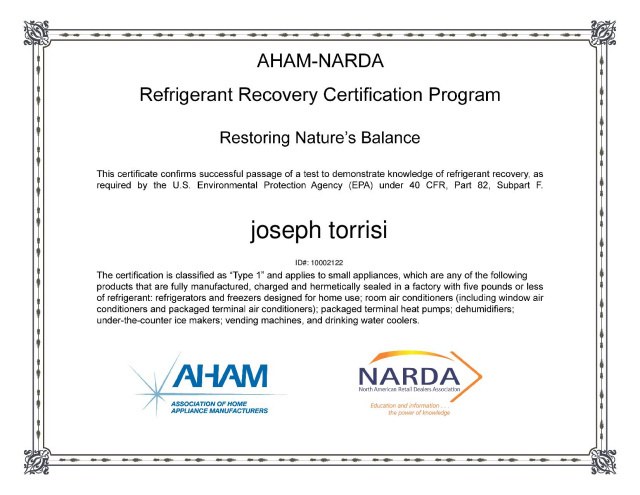 I am certified by the EPA to work on refrigeration which is federally required by all servicers. 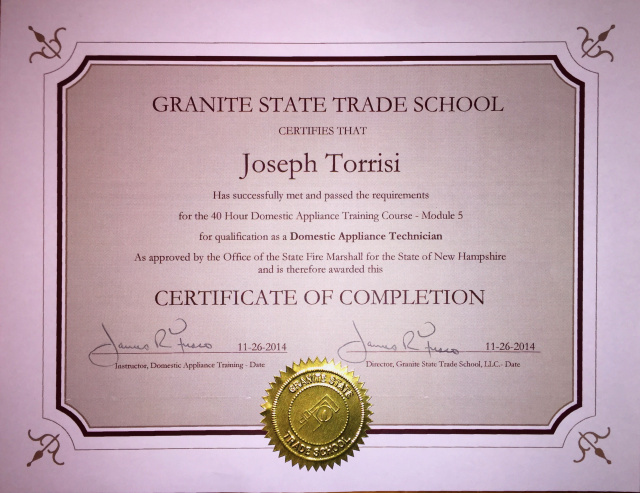 I am also a graduate of the Granite State Trade school for the required Domestic Appliance Technician License which is required by the State of NH to diagnose, service, and connect gas appliances.